Hola my friends! 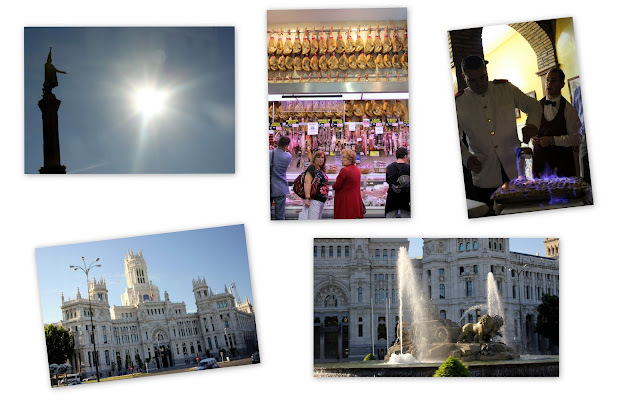 Our recent trip to Spain was a pretty hectic but one of my more enriching ones to date. 2 days free and easy and 10 days on guided tour with Insight Vacations. There’s so much I love about that place. The culture, the history, the people… and the list goes on. Each city/ town we traveled to was uniquely different, though bound by the same lackadaisical (in a good way) and relaxed attitude towards life. After checking into our hotel, we strolled along Paseo del Prado, where our Hotel was located. A beautiful garden runs alongside this wide road. For our first meal we had paella from a roadside restaurant which was not as impressive as I hoped it would be. It was a little on the salty side, and missing my favourite socarrat. Oh well. Dad’s a fan of Real Madrid (we attracted quite a lot of attention from some spanish kids when dad wore his newly bought Real Madrid jersey in Córdoba) so a visit to their home stadium, Santiago Bernabeu was a must. Don’t bother going on a guided tour because you have to follow a well-organized route anyway. The stadium was huge! The seats on top were so steep that I was quite afraid of toppling over the railings. Fans will be glad to see the extensive trophy room that houses their gleaming trophies won over the years. You also get to see their comfortable locker rooms (equipped with a jacuzzi and all the works! ), walk alongside the football pitch and enter the room where they hold press conferences. 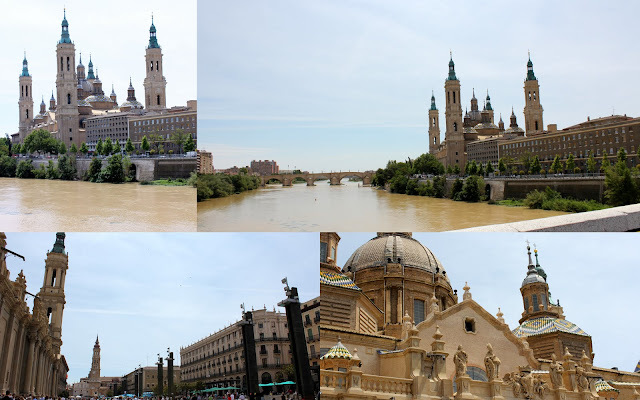 [ Zaragoza] Clockwise from left: The Basilica de Nuestra Senora del Pilar, the Ebro river, A close-up of the Moorish influence on the Basilica (or what they term as Mudéjar architecture) and the square in front of the Basilica where fiesta preparations and peaceful student protest were going on simultaneously. After our guided tour officially kicked off, we headed straight for Barcelona on a comfy tour bus. 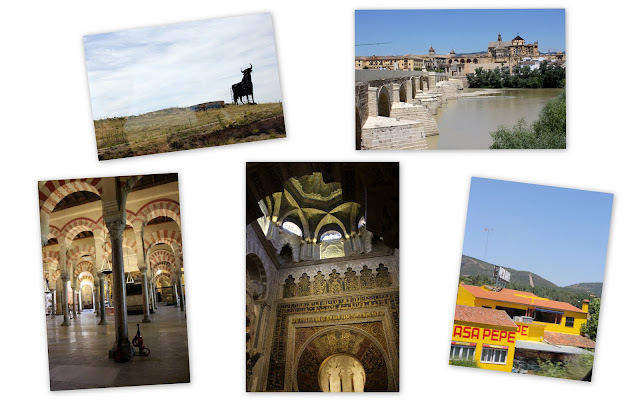 Our first encounter with Mudéjar architecture was at Zaragoza, which is in the province of Aragón. Barcelona is densely populated, with most locals living in apartments. 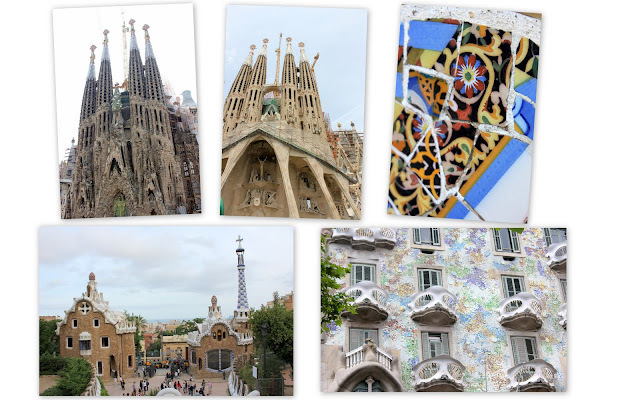 What I love about Barcelona is the architecture, a result of Modernisme or Catalan Art Noveau, which can be seen for example, in the works of Antoni Gaudi (the Sagrada Familia, Park Güell and Casa Batllo). In addition we also made a trip up Montserrat, an enchanting place shrouded with mist. 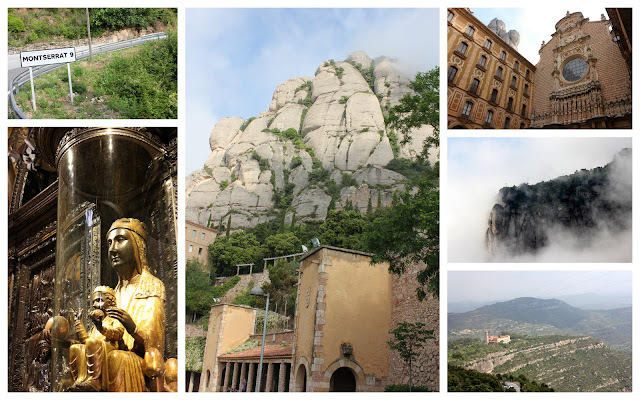 At the peak is the Monastery of Montserrat, which is surrounded by chapels and hermits’ caves. Benedictine monks still live here, and amongst their duties they also operate the cafes and hotels there catering to visitors. Be sure to buy some of their almond-based biscuits in the gift shop or the almond pralines sold in the farmer’s market! We stopped by Peñíscola en route to Valencia for lunch. 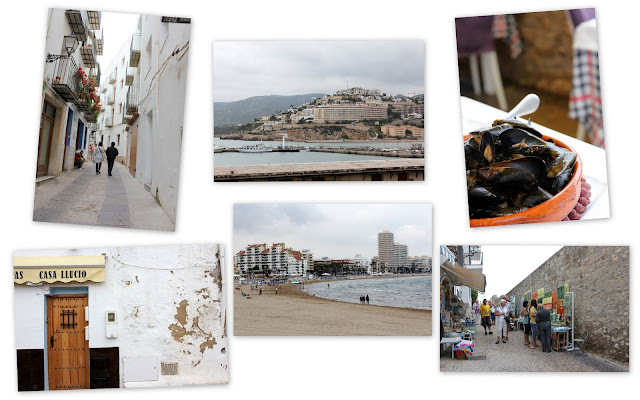 It’s a picturesque beach town facing the Mediterranean. 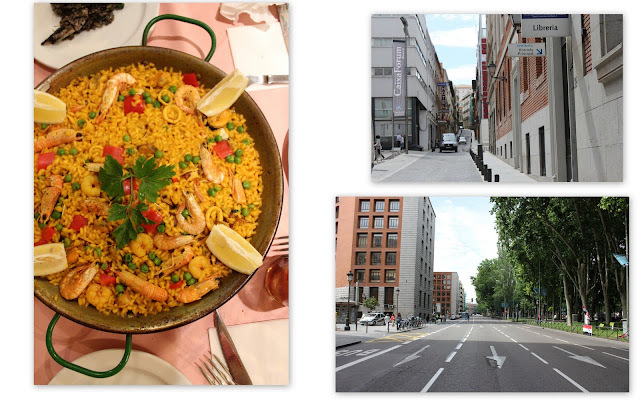 There are a few dishes we enjoyed (consistently) in Spain. 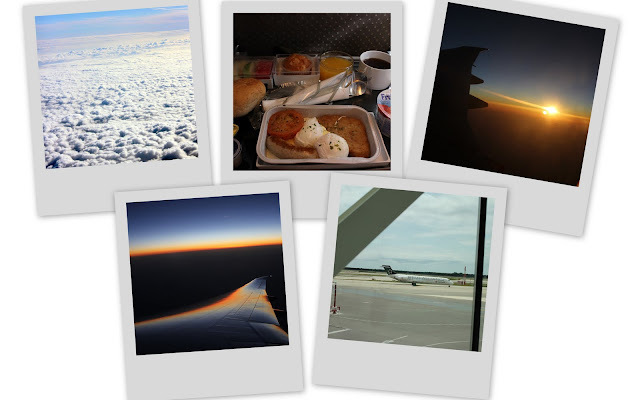 Yup, I’ll dedicate individual posts for those places that are particularly memorable! Anyway one of the dishes is mussels. Every restaurant serves complimentary bread. They don’t warm it up but honestly there’s nothing much to fault because the bread always has soft and pillowy interiors with a crusty, hard exterior. The tomato base accompanying the steamed mussels was so delicious without being too acidic. Soaking the bread with it (plus the million-dollar view) made dining al fresco very enjoyable. 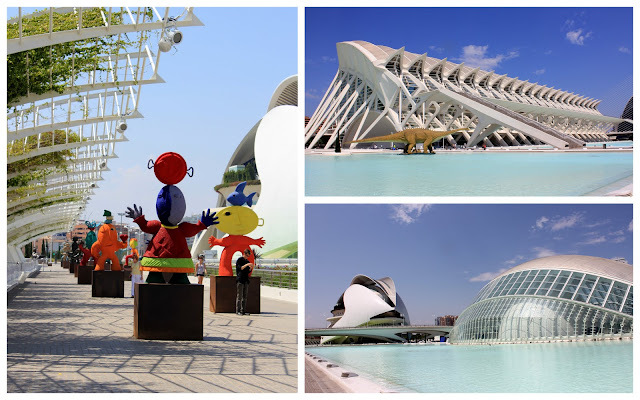 We were all pretty awed by the massive Ciutat de les Arts i de les Ciencies (City of Arts and Sciences). It’s brand new, and heralds a new era for architecture in Spain. Don’t miss out on Valencia’s summer specialty, the Horchata, made from chufas (earth almonds), with fartons (soft sweet bread sticks). I call it the spanish version of our 豆漿油條 😉 There are many places that serve this drink, but our guide highly recommended the Hochateria de Santa Catalina. The painted tiles at the doorway depicting a woman serving horchata makes it quite a landmark. Inside is like an old school coffee shop, with almost every table having the same Horchata with chufas. I’m not sure if I like Horchata because it’s too sweet. It’s something like our soya bean with extra syrup but chilled to wine temperature (about 17-18 degrees C I suppose) making it exceptionally refreshing. Chufas are really delicious though- so light and more-ish. We also visited a tapas shop serving Spanish cider before having paella (served in a HUGE paella pan) for dinner. 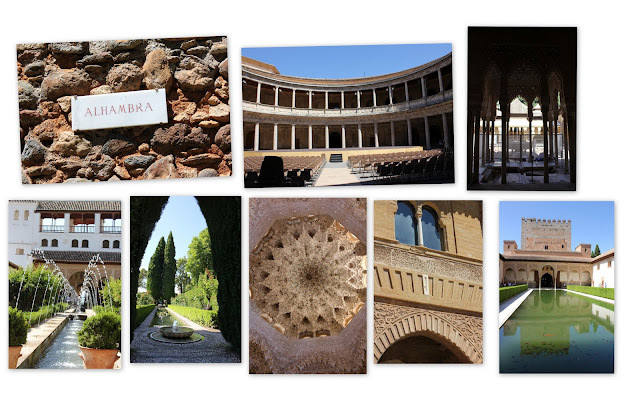 The splendour of the Alhambra in Granada, built by the Nasrid kings, can’t be described in a few words. My suggestion is to either go on a guided tour or purchase one of the detailed guide books from the gift shops at the entrance to read while you wander around inside the palace so that you can fully appreciate the rich history behind it. 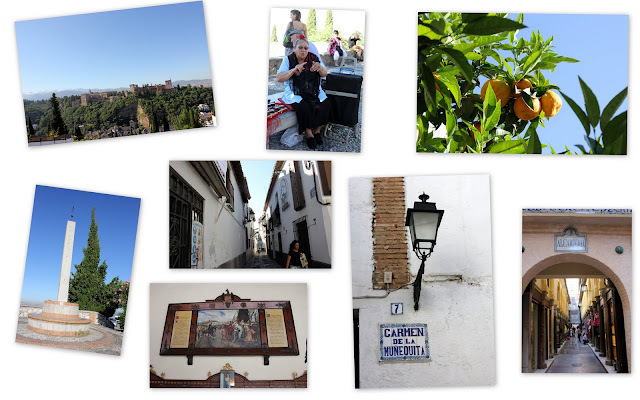 The next day we went to the Albaicín, a district in Granada. It’s a lybyrinth in there- narrow winding streets with whitewashed houses and courtyards. The shadows cast by the buildings help to keep the buildings opposite cool while the courtyards with fountains also perform the same function. Later we visited the Royal Chapel to see the elaborate tombs of Ferdinand and Isabella, the Catholic Monarchs who got rid of the Moors in a bid to establish a single religion -Catholicism- in their land. Watching Flamenco was a great experience, one that should not be missed! 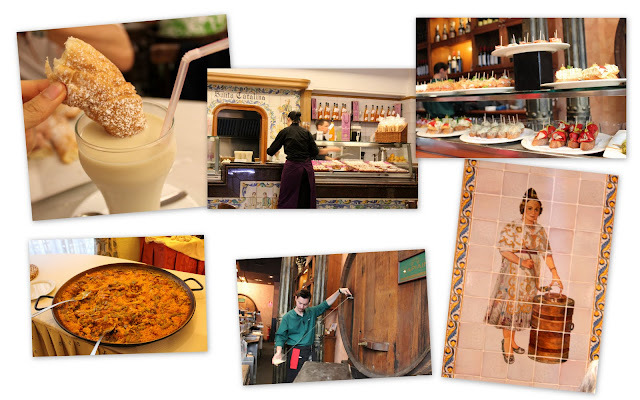 Santa Cruz, Seville’s old Jewish quarter, has a lot of quaint looking resturants. We did dine in one and it turned out to be one of the more memorable meals for our trip. 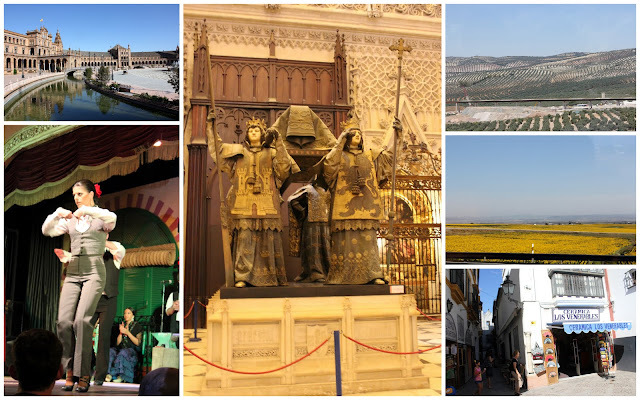 Off we went again, this time to the perfectly preserved Moorish city of Cordoba. To enter you need to cross a 2000 year old bridge (which looks brand new now after restoration works). The Mezquita is a unique cathedral because it’s essentially an 8th century mosque with a Christian Church built inside. 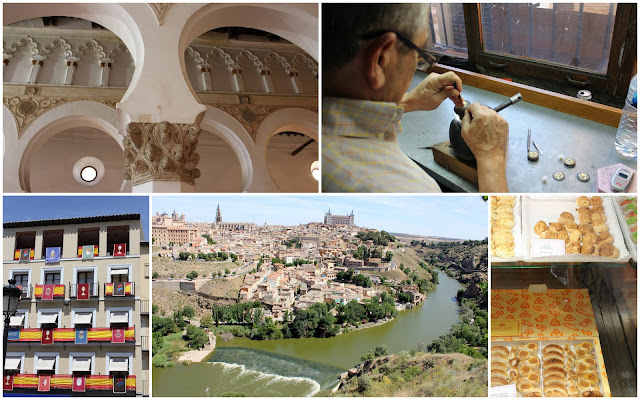 One of my favourite places was Toledo. It used to be the capital of Spain before Madrid. I was really enamoured by the brown buildings and cobblestone streets which have been preserved all these years. The Jews, Muslims and Christians used to live in harmony here. Thus even the Jewish Synagogue we went to had Moorish influences inside. I also had a taste of Mazapán, a specialty in Toledo. There are many shops in the vicinity, but our local guide highly recommended Santo Tomé . We had the crescent shaped ones, which are apparently called Delicas. “Delicia” shape, filled with a preparation of candied yolk, coated or covered with “pasta de delicia” (prepared from marzipan mixed with eggs) and baked. 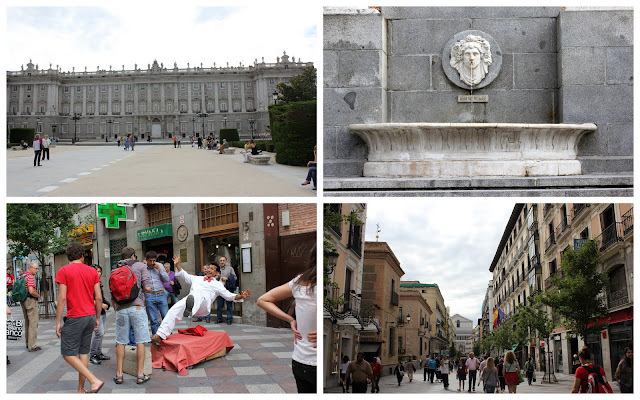 After so much travelling we were back to square one, Madrid! We ended off with a celebratory dinner in Cafe Gijón, which is one of the many intellectuals’ cafes during the Civil War. Portraits of all the literati that frequented that place line the walls. After all that travelling I think I’ve learnt a lot about Spain- more than I ever imagined at the start of the trip. Now that we’ve seen most of the highlights in Spain, I think we can go on our own next time. Wow, you also traveled with Insights… Yuan and I just came back, say about 3 weeks ago from the Romantic European and I agree with you, very hectic but enriching, do miss my tour group. The spanish version of our local 豆漿油條 did caught my attention… When I was at Szentendre, I came across some dough fritter that resembles our hum chee peng but was too stuffed after lunch to try them..
Szentendre? Wow, I’ve never even heard of that place! Our tour director was like a walking history textbook. Learnt a lot from him, and of course from the local guides too. All photos on this blog are taken by me unless otherwise stated. Please inform me if you want to use any of them. That chocolate lava cake was 👍. Better quality ice cream would have made it perfect.